Middlesbrough Council’s plans to build homes for the first time in a generation have taken a major step forward with the creation of a new housing company. The authority can reveal that its “housing delivery vehicle”, which will give greater control over the pace and quality of housing developments, will be called MHomes and has been registered with Companies House. MHomes will initially develop 100 homes over two years on three council owned sites in Gresham, Beechwood and Hemlington. These are likely to include 37 for low-cost affordable rent, 35 units for market sale and 28 mixed tenure units. The first phase of development will be on two acres of brownfield land off Union Street in Gresham, next to the parcel of land behind The Crown which is earmarked for a new student village. The land in Gresham where the first homes will be built. The proposed Gresham scheme is likely to provide 37 good quality family homes for low-cost affordable rent including a mix of three and four bed properties, either two and three storeys and a mixture of semi-detached and townhouses, all with gardens and some with garages. 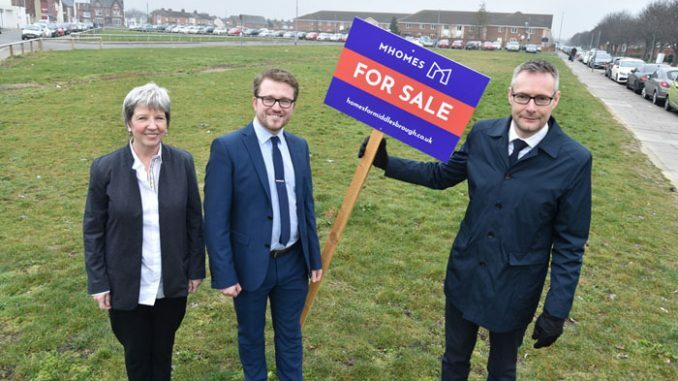 Cllr Lewis Young, Middlesbrough Council’s executive member for economic development and infrastructure, said: “The ethos behind MHomes is that we will build homes for people, not profit. It is bold and radical and absolutely vital in terms of building homes which people want to live in. “Middlesbrough is undergoing huge regeneration with projects which will bring thousands of well paid jobs, such as TeesAMP and Grade A office space, as well as new leisure and food and drink outlets which make our city centre a much more enticing place. A business plan has been created which establishes the structure of the company, including the board, staffing and a start-up funding package of up to £10m which comprises part equity and part loan. For the first time in decades Middlesbrough is experiencing population growth with people attracted to the growing economy. Although the growth seen to date has been hugely beneficial to the town, there is an affordability issue that is developing, highlighted in a previous Council report, as the average cost of new homes in the town rises beyond the means of many residents looking to get on the housing ladder. • Pictured top (left to right): Cllr Denise Rooney and Cllr Lewis Young director regeneration Richard Horniman.